Taking of evidence Archives - Patent my French! Traditionally, non-practicing entity patent infringement suits have been relatively few and far between in France. Without the huge financial stakes of U.S. litigation, and without the lure of German bifurcation, the French legal system has, to some extent, resisted the trend so far. There are a few counter-examples, though. Like the case discussed today, between famous Intellectual Ventures (IV) and SFR, one of the major French telecommunications companies. Among the many patents owned by IV is EP 1304002, entitled “Arranging Data Ciphering In a Wireless Telecommuncation System” and originally filed as a PCT application by Nokia Mobile Phones Ltd, in Finland. As you have probably already guessed, IV initiated legal proceedings in front of the Paris Tribunal de grande instance (TGI), alleging infringement of the EP’002 patent. The alleged infringement mainly relates to the WiFi technology. You will not know who won at the end of the post, because no one did – the lawsuit is not over yet. In fact, the pleadings hearing is presently scheduled to take place on November 23, 2018. So there is still plenty of time left for you to take your morning off at the new courthouse. The decision discussed today is only an interim order issued by the judge in charge of case management (JME in the local jargon). 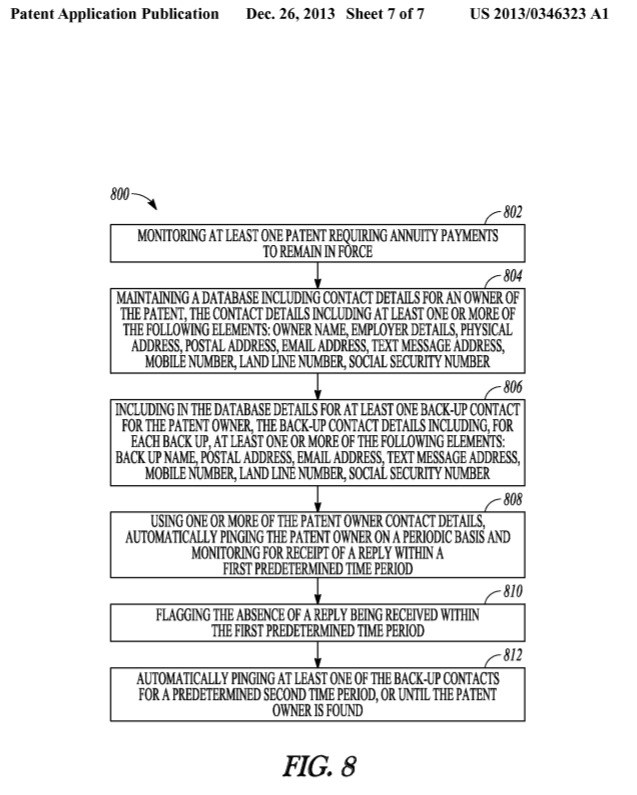 Can you believe there are actually patent applications on methods for identifying patent troll activity? Do some of them get acquired by NPEs, just for the irony of it? Among the various defenses raised by SFR, there is a rather interesting one, which is that the EP’002 patent is a standard essential patent (SEP). Two standards were mentioned by SFR: 3GPP TS 33.234 (a 3G standard issued by ETSI – short for European Telecommunications Standards Institute), and 802.11.2012 (a WiFi standard issued by IEEE – short for Institute of Electrical and Electronics Engineers). According to SFR, the EP’002 patent was not declared as essential by its then owner Nokia – a member of both ETSI and IEEE – although it should have been. Due to this omission, they argued, the infringement action should be deemed inadmissible. Now, apparently SFR did not have all the necessary evidence at hand. They thus wrote both to ETSI and IEEE and requested the “travaux préparatoires” (one of the most well-known French expressions among lawyers, ranking third after “bonjour” and “merci”) for the relevant standards, as well as relevant correspondence between Nokia and both organizations. France-based ETSI replied that they would provide the requested documentation, but IEEE turned down SFR’s request. Thus, SFR filed a motion with the JME, requesting a stay and further requesting that IEEE be ordered to hand down the relevant documents. First, IV claimed that SFR’s motion was inadmissible. Indeed, IEEE is based in the U.S., and the French judge has no jurisdiction to directly order a third party to the litigation to hand down evidence, they argued. The only possible procedure would be the letter rogatory, i.e. the French judge should ask U.S. authorities to issue the order. Please be advised that it is IEEE’s policy not to provide information that may be used in litigation without a subpoena. This is to protect IEEE’s neutrality in any dispute. If that is necessary, please feel free to let me know and we can arrange the details of service. The JME deduced from this response that IEEE was willing to hand down the evidence at stake, and that they just required a formal judicial order for doing so. The judge was happy to oblige, and the formal and cumbersome process of the letter rogatory could thus be avoided. I note that IEEE’s response does not specify whether the requested subpoena should be specifically issued by a U.S. court, or whether any subpoena would do. It was probably the judge’s understanding that, in the absence of any specific mention, they were open to any form of subpoenaing. As a second defense against the motion, IV argued that SFR’s request was useless and unjustified. However, a subpoena may not be necessary in this instance as IEEE 802.11 does host a public website that contains a wide variety of working group materials. The IEEE 802.11 website is located http://www.ieee802.org/11/. But the judge held that SFR was free to raise a new defense at any point within the case schedule (which, in case you are wondering, is nothing like the extremely tight schedule envisioned for the future UPC). Besides, SFR stated that they could not find the relevant documents on the IEEE website, and that in particular the correspondence with Nokia is not supposed to be available on this site. Finally, the supply of evidence by the standard organizations should not take long. As a result, the judge granted SFR’s request and issued an order for IEEE to send SFR all documents and reports of the working group relating to the relevant part of IEEE 802.11, as well as the relevant correspondence with Nokia, within one month. On the other hand, the request for stay of proceedings was dismissed – probably because this timeline is supposed to be still compatible with the planned date for the main hearing. Access to evidence can be challenging in this country especially in the absence of discovery / disclosure. French judges are often reluctant to order a taking of evidence, such as the provision of documents. But in a case such as this one, it does seem rather fair that a defendant should be allowed to explore a particular line of defense by requesting third party-held documents. We will thus stay tuned, and I am sure the decision on the merits will be most interesting to read – if the lawsuit goes all the way of course. CASE REFERENCE: Tribunal de grande instance de Paris, 3ème chambre 4ème section, ordonnance du juge de la mise en état, June 7, 2018, Intellectual Ventures LLC v. Société française du radiotéléphone, RG No. 16/16346. Posted on September 17, 2018 September 16, 2018 Categories French case law, SEPs, Taking of evidenceLeave a comment on Standard or not standard?